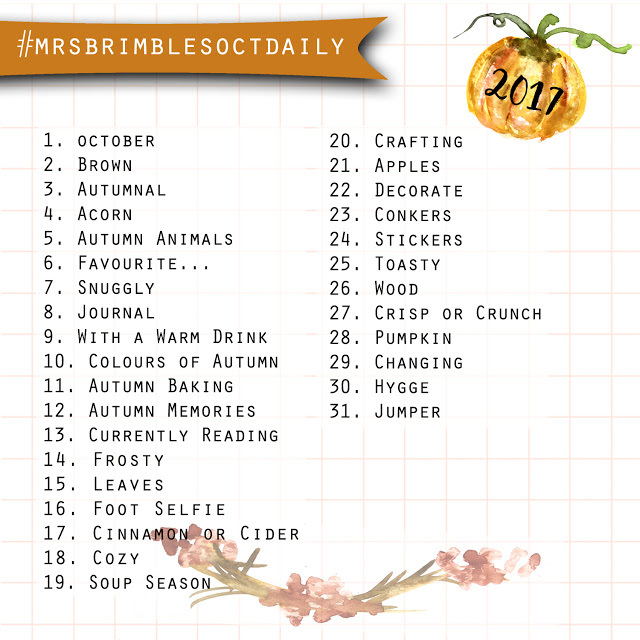 Every year I take part in the October photo challenge on Anna's blog - this year she has two to choose from, which is even better. 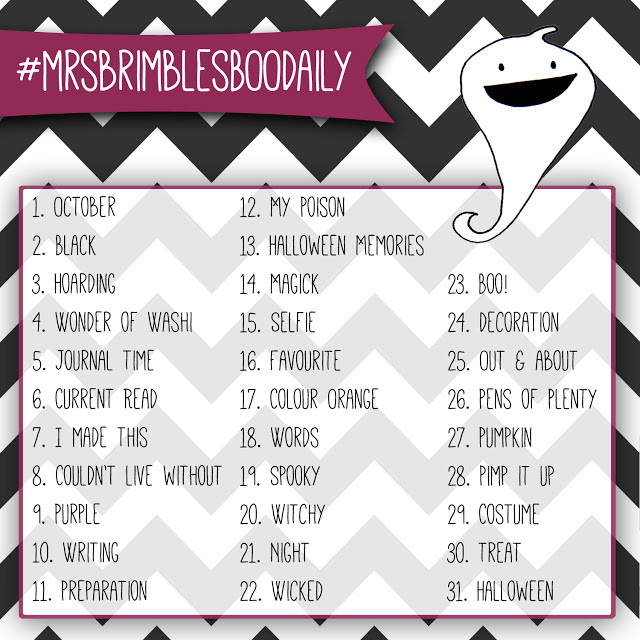 There's the traditional October daily one which is all about Autumn, and a Halloween one - even better that you just enter your details via Anna's blog in the link above, and you can win a store credit for Anna's shop if you post all the photos. Sometimes it can be a struggle to remember to post everyday or to fit in taking photos and posting them on social media - especially when you've got a million other things going on as well. I certainly find it hard sometimes but I really love the challenge, so last year I came up with a plan. I write out the prompts in my planner and next to them I write down some ideas - as and when they come to me. I start by looking at the existing stuff I've got going on through the month and seeing if I can use my everyday experiences to take photos. For example, on the 9th October I know we are going to Alton Towers and I'll certainly get a hot chocolate - and so I can make a note in my planner to remind me to take that photo. I want to make it pretty (obviously!) because the prettier it is the more I'll want to use it. I used Anna's gorgeous art work from her October Patreon collage sheets - aren't they just gorgeous and perfect for this project. As the month progresses, my plan will become messier and I'll add more art and stickers to it as I go. 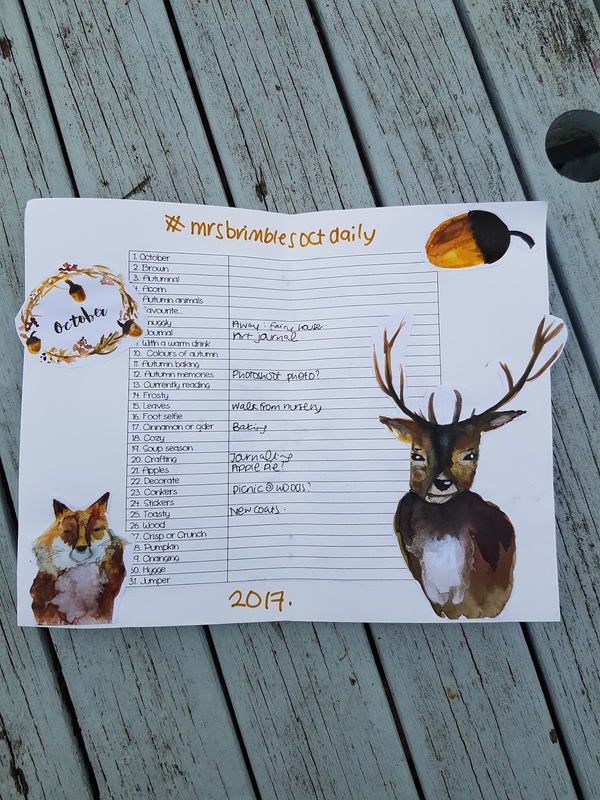 Good luck if you're taking part in this challenge - and if you think you're too busy or too dis-organised, give this little plan a try.